How to fund child’s education using mutual funds? Invest in the mutual fund portfolio that covers the expenses, and at the same time, it should not be a burden on your monthly budget. Planning for a child’s future education is the first priority of any parent. While estimating the cost of educational expenses including future rise, it is prudent to ensure the child’s education by having a sizeable amount in the saving. Mutual funds can help in this regard and fund your child’s school or higher education costs. 2. How many years are left for the said expense? 3. What should be the expected amount of return? 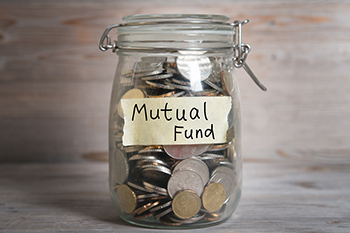 How to use mutual funds to secure your child’s future? When you start planning for child’s future, it is better to have a headstart. It might be difficult to imagine your young, school-going child as a college-goer, so we have a tendency to postpone the planning by a few years saying that we can do it a later stage. It is better to start investing early, and mutual funds allow the diversification of having an extensive portfolio. As the mutual funds have the power of compounding, it can make a huge difference in the final sum of your investment. When investing in mutual funds, the investor should have an end goal in mind and in this instance, it is the child’s educational expense. When planning for a long-term goal, it is better to plan for the costs at a projected level by basing the calculations on the current costs. Invest in the mutual fund portfolio that covers the expenses, and at the same time, it should not be a burden on your monthly budget. SIP or the Systematic Investment Plan is the most favored method of investing in mutual funds. Through this process, the investor can invest in a mutual fund scheme that aligns with their goal. The SIP method requires the investor to invest a certain amount regularly and helps the investor to ride out the market fluctuations. SIP also has the benefit of rupee cost averaging where the investor will get units when the market price is low and buying fewer units when the market is high. The advantage of the SIP investment is that the investor can fix the amount they are comfortable in investing. There is also the other option of STP (Systematic Transfer Plan) where they can invest a lump sum amount in a single fund and have the option of transferring them to various equity fund and debt funds to negate the risk or to diversify the portfolio. These are options where the investor can deposit their returns in a short-term debt fund where the risk is quite less. It is a prudent action to save for the child’s education from the start but also to diversify the savings into mutual funds. It is time to divert from the traditional method of investing and look at various mutual funds that are available to cater to long-term goals such as a child’s educational expense.